The image on the left shows a region of Europa's crust made up of blocks which are thought to have broken apart and "rafted" into new positions. These features are the best geologic evidence to date that Europa may have had a subsurface ocean at some time in its past. 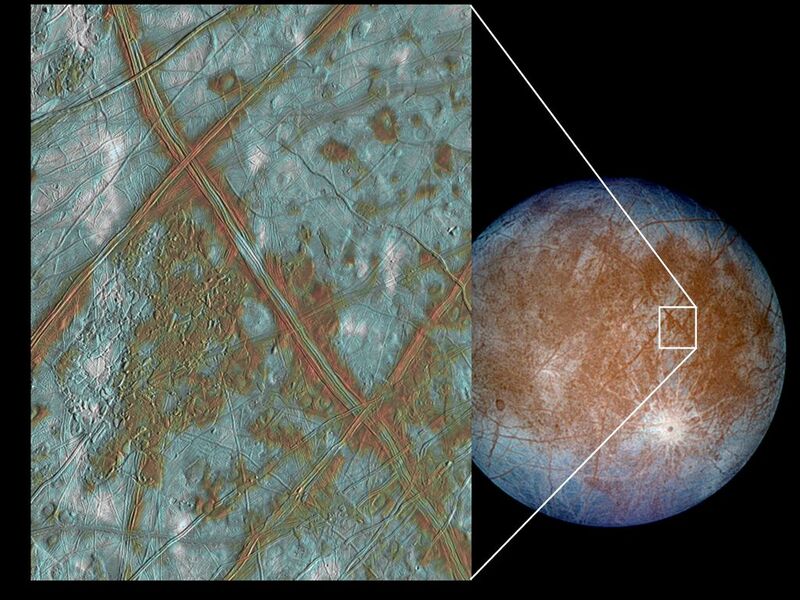 Combined with the geologic data, the presence of a magnetic field leads scientists to believe an ocean is most likely present at Europa today. In this false color image, reddish-brown areas represent non-ice material resulting from geologic activity. White areas are rays of material ejected during the formation of the 25-km diameter impact crater Pwyll (see global view). Icy plains are shown in blue tones to distinguish possibly coarse-grained ice (dark blue) from fine-grained ice (light blue). Long, dark lines are ridges and fractures in the crust, some of which are more than 3,000 kilometers (1,850 miles) long. 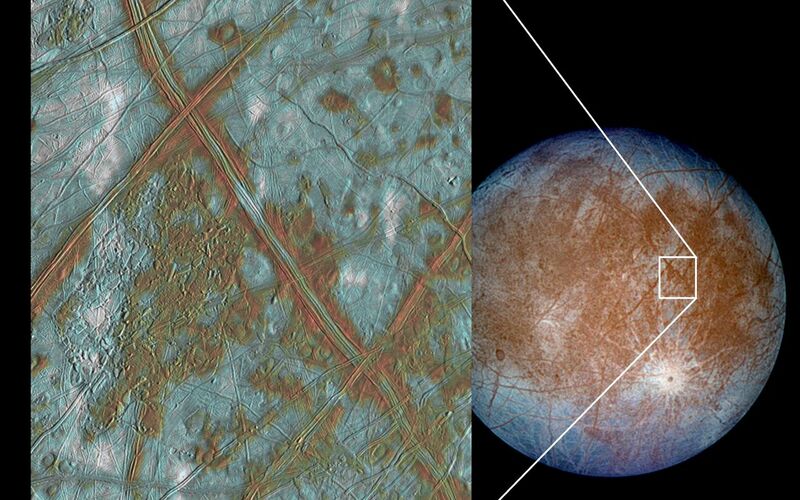 These images were obtained by NASA's Galileo spacecraft during September 7, 1996, December 1996, and February 1997 at a distance of 677,000 kilometers (417,489 miles).